SOUTH CANAAN, PA (October 16, 2015) - Benedict Sheehan, the artistic director of the Chamber Choir of St. Tikhon’s Monastery, is dedicating the world premiere performance of one of his original compositions to the memory of Fr. Matthew Baker, a friend and fellow alumnus of St. Tikhon’s Seminary who passed away earlier this year in a tragic car accident. The performance will take place as part of “Till Morn Eternal Breaks,” a benefit concert for the seminary being held in New York City on November 12 at the Roman Catholic church of St. John Nepomucene at 66th and 1st Ave.
Sheehan’s Triduum Paschalae, a three-movement work for chorus and soloists that blends motifs from Eastern and Western Christianity, is a musical journey through Christ’s passion, death, and resurrection. Although he never had the chance to hear the work performed, Fr. Matthew applauded Sheehan’s artistic vision in the composition and particularly loved the creative use of the poetry of Gerard Manley Hopkins, one of Fr. Matthew’s favorite poets. The first movement, The Crucifixion, is based on a translation of a 12th century Middle English lyric (famously set by Samuel Barber in his Hermit Songs) that acts as a kind of Stabat Mater—or in Orthodox terms, a stavrotheotokion—a heartbreaking glimpse into the Virgin Mary’s grief at the crucifixion of her Son. The second movement, Nondum, uses a poem by the great Jesuit poet and forefather of modernist poetry, Gerard Manley Hopkins (1844-1889), interspersed with exclamations in Hebrew of Christ’s words from the Cross, Eli, eli, lama sabachthani? (My God, my God, why hast thou forsaken me? ), coupled paradoxically with the joyful (and in the West, paschal) exclamation, Alleluia. The movement speaks of a world where God is seemingly and unaccountably absent, dead, and yet it conceals a profound hope that God will finally and fully reveal Himself in the end: “Yet to behold Thee as Thou art / I’ll wait (Alleluia) till morn eternal breaks.”The music is based on a Byzantine scale, and it features aleatoric solo passages in a microtonal Byzantine style composed in collaboration with, and first performed by, John Michael Boyer. The final movement, Easter, also based on a poem by Hopkins, is a profusion of paschal joy and exuberance. Anyone who has ever attended an Orthodox Easter vigil will immediately recognize the sort of reckless and overflowing spirit with which this movement—composed in a style faintly reminiscent of Early American psalm singing, and in mixed meter and mixed modes—is imbued. Among those giving solo performances at the concert will be Portland-based baritone John Michael Boyer, known for his work with Cappella Romana, and soprano Laura Soto-Bayomi of the Chatauqua Opera Festival and the Bard College Conservatory of Music. The event will be held at the Church of St. John Nepomucene, 411 East 66th Street, New York, NY, beginning at 7:30 p.m. Tickets will be available at the door, but may be ordered in advance online at www.MonasteryChamberChoir.com. Discounts are available for students and for groups by purchasing early. 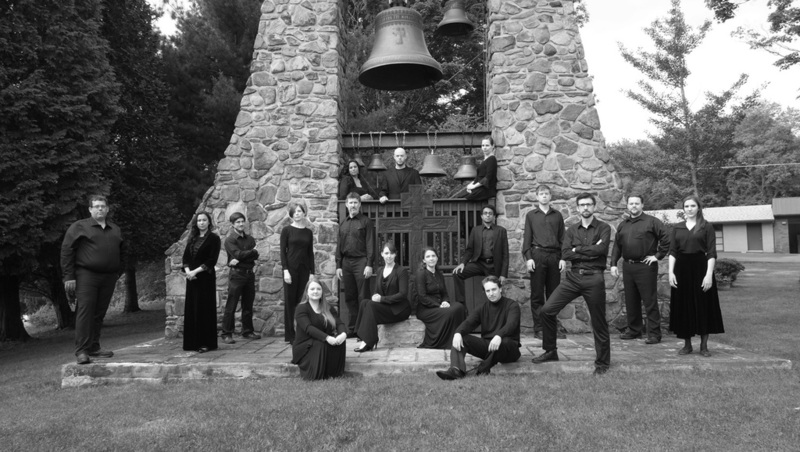 The Chamber Choir of St. Tikhon’s Monasteryis a professional vocal ensemble under the auspices of St. Tikhon’s Monastery in Pennsylvania, America’s oldest Orthodox monastery. Founded in 2015 by artistic director, Benedict Sheehan, and Archimandrite Sergius, abbot of St. Tikhon’s Monastery, the Chamber Choir’s mission is to explore, promote, and build up the tradition of Orthodox sacred music in America, and to bring people of today’s world into contact with the living tradition of ancient Christianity through vibrant and inspiring choral singing. The group is comprised of some of the finest solo and ensemble singers in the New York area and around North America.